With the release of Grand Theft Auto V last week, we’ve yet another opportunity to marvel at how far video games have come since the prehistoric days of the late 1970s. Meandering the streets of Los Santos, GTAV’s thinly veiled version of Los Angeles, we may marvel—if we take a short break from shooting pixilated prostitutes—at how adept the video game industry has become at harnessing stellar graphics in the service of increasingly complex storytelling. Rather than a dry history that focuses on technological advances few of us really understand, here is an unorthodox survey, free from the tethers of chronology or the establishment consensus, of the evolution of video-game graphics. In the beginning was the word, and the word was good enough: realizing the intense difficulties of simulating something that looks like reality on a machine that, in the 1970s and the 1980s, still had about as much computational capacity as an electrified abacus, game designers frequently toyed with exchanging images for words, giving birth to a new genre, the text adventure. 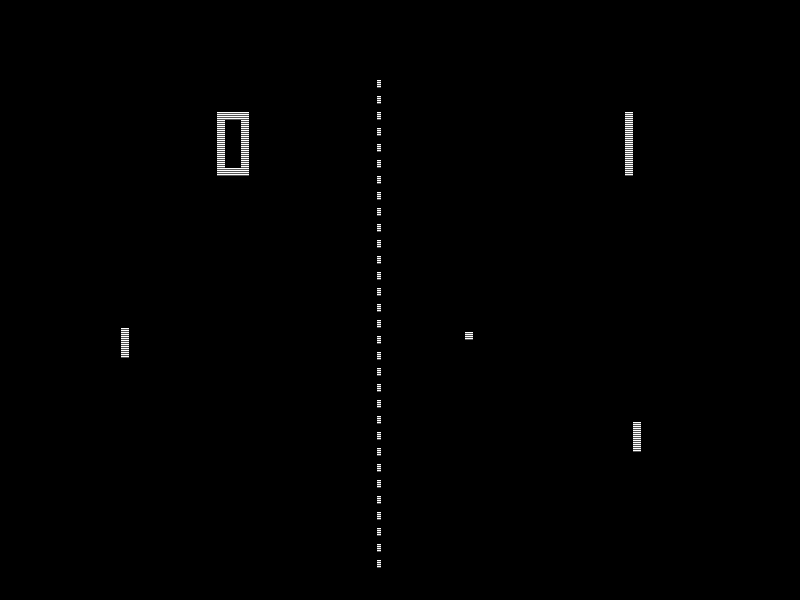 From 1975’s Adventure—the game’s original title was ADVENT, as file names in those days could only contain six characters—onwards, these games taught the earliest generation of designers and players alike to rely on their imagination, a supremely challenging undertaking if you’re trying to navigate your way through a maze or cross a magical bridge. Which is why many of us gamers still consider mastery of text adventures a badge of honor; say “open mailbox” to any nerd born in the late '60s or early '70s, and memories of Zork, the genre’s most celebrated entry, come rushing right in. That none of us could actually see the mailbox mattered very little. In 1986, the British programmer Jez San released one of his early masterworks, a briskly paced combat pilot simulator named Starglider. The game was heavily influenced by San’s beloved Star Wars—the 1983 arcade blockbuster based on the 1977 box office blockbuster—and, like its inspiration, had wireframe vector graphics, or crude three-dimensional models using only basic geometrical shapes. But San had a problem: Whereas people who played Star Wars had likely seen the movie, and could therefore imagine that the primitively rendered collection of lines on the screen represented, say, the Millennium Falcon, people who played Starglider had no such visual to rely on, and therefore had to strain their imaginations. To get around that, San released the game along with a short novella explaining to players that what they were seeing wasn’t reality itself but the fighter jet’s tactical display aid. The little, mustachioed guy is so iconic today that it’s easy to overlook just how many of the game’s visual staples were born out of sheer necessity. Because complex backgrounds with distinct objects were a lot for the video game consoles' central processing unit to handle, for example, anything with a repetitive pattern—like, say, red brick walls—worked nicely. And once the game’s designer, the legendary Shigeru Miyamoto, had already drawn an object, he wasn’t going to let it go to waste: Pay close attention to the white clouds in the game’s periwinkle sky, and you’ll see that Miyamoto simply copied them, colored them green, and pasted them on the ground as shrubbery. Even Mario himself was a product of this utilitarian economy: Noticing that Mario’s sleeve, being the same color as the rest of his shirt, tended to look muddled and indistinct when the tiny, fierce plumber used his hands, Miyamoto, in search of clear color contrast, dressed his dude in red overalls. And, not being very good with drawing hair, he slapped a cap on Mario, and opted for a mustache, a relatively simple shape, in lieu of a more nuanced mouth. It’s hard to exaggerate the impact this gorgeous game had when it was first released. Like a digital cronut, it inspired interminable lines, with enthusiastic fans waiting in arcades for days just to catch a glimpse of the wonder. 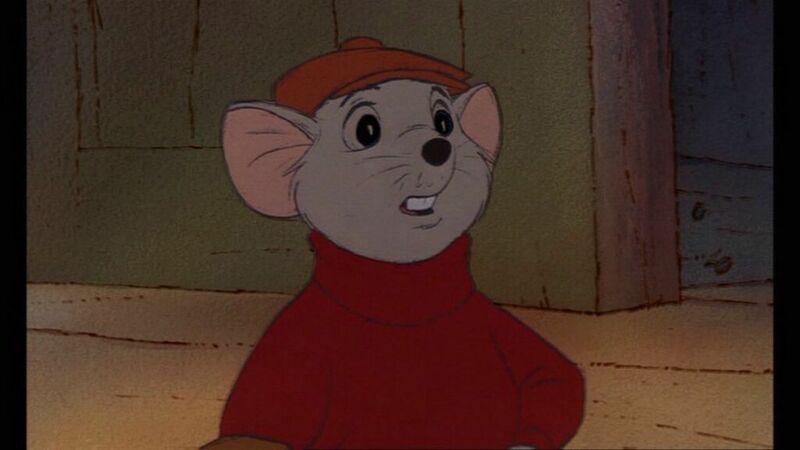 Animated by Don Bluth, the former Disney artist who helped shape 1973’s Robin Hood and 1977’s The Rescuers, the game shipped out on a Laserdisc, a highly innovative technology at the time, which provided it with the muscle for perfectly rendered motions, actions, and scenery. When other games looked like crudely assembled piles of pixels, Dragon’s Lair was as beautiful as the most meticulously hand-drawn bit of old-fashioned animation. The game was both a commercial hit and a cultural landmark—it remains one of only three titles, alongside 1980’s Pac-Man and 1972’s Pong, to be stored at the Smithsonian—but its flaws proved fatal. So obsessed was the game with its looks, like its stunningly drawn interstitials, that it relegated gameplay to secondary status, often allowing players to progress from level to level even without completing their goals. More an interactive cartoon than a compelling game, it inspired no followers. Until this blood-spattered beauty came about, video game graphics centered around sprites, an animation term for crudely constructed, two-dimensional characters like Mario or The Legend of Zelda’s Link. Having originally set out to produce a video game version of Jean-Claude Van Damme’s Universal Soldier, the four programmers behind Mortal Kombat decided early on to use digitized sprites, namely capturing a live actor’s movements and converting them into pixels. The result was much more lifelike than anything on offer at the time, but the technology was still in its infancy: Unable to capture a multitude of different characters, the game’s creators resorted to palette swaps, or taking the same character and giving it slightly differently shaded clothes, skin, and hair, sometimes resulting in very similar looking animated pugilists fighting each other. What Dragon’s Lair did with animation, this wonderfully bizarre game attempted to do with full motion video. An interactive movie starring "Diff’rent Strokes"star Dana Plato, Night Trap focused on the adventures of five young women who congregate in a large house for a slumber party, only to be visited by lustful vampires. While watching the video unfold, the player operated a control panel on the bottom half of the screen, setting traps for the undead marauders in an effort to keep them from eating Plato et al. Washington didn’t see it that way: In a series of heated hearings, a handful of legislators, including senators Joseph Lieberman and Herbert Kohl, argued, erroneously, that the game’s goal was to trap and kill young women, and that the fact that these were real, live women rather than computer-generated polygons made it that much worse. The game was scrapped, but its legend lives on. To give the great ape a new world to play in, Nintendo and a British software developer called Rare practiced a neat trick: They created 3D models on high-powered computers, and then captured 2D images of the same models that were just the right size to run on the Super Nintendo console without overwhelming it. The result was wild jungles with greater depth of field, dark mineshafts with intricate shadowing, forbidding temples criss-crossed by cracks and weeds, and other minutely captured details that made the game a visual milestone. There are many reasons why this first-person shooter routinely seizes the number one spot in various lists of the best video games ever made: Its story is rich, its world terrifyingly believable, and its gameplay seamless, but it’s Half-Life's haunting visuals that are the most memorable thing about it. After a decade spent trying to create lifelike, fluid 3D animation—1993’s Doom and 1996’s Quake are particularly notable efforts—the video game industry finally had a title that felt like a visual breakthrough. It didn’t come easy. To make the game, two former Microsoft employees started their own company, Valve, licensed an existing 3D engine—the bit of software responsible for rendering the game’s animation—and then changed it completely to create something considerably more perfect. Once the floodgates of true 3D burst open, advances were less frequent and less impressive. For a game to wow with its visuals it had to do more than merely provide slightly better looking graphics. The moment you walked into Rapture, the underwater art deco city where Bioshock takes place, you realized that here, portrayed in a thousand tiny details, was a real world, rich and strange and yours to explore. Even more impressively, as the game’s plot revolves around an Ayn Randian ideology run amok, the graphics succeed in capturing its moral nuances, featuring a landscape that is a testament both to Man’s desire for limitless self-actualization and to the calamities that necessarily ensue when ambition goes unchecked. There are other games out there that look better—games with richer worlds and prettier details. But L.A. Noire did something that no other game before it dared attempt: It centered its entire drama on the human face. Historically, faces have been the industry’s hardest riddle to solve: While bodies have a more or less limited range of motions, faces are capable of a nearly infinite range of expressions, all of which are nuanced and very hard to capture in graphics. L.A. Noire did. Much of the game revolves around interrogating characters, looking into their eyes, and determining whether or not they’re telling the truth. Spending 30 seconds observing a genuine human emotion expressed in a quiver of a lip or a twitch of an eye packs a far greater punch than hours of running around a city, committing grand theft auto and shooting innocents.